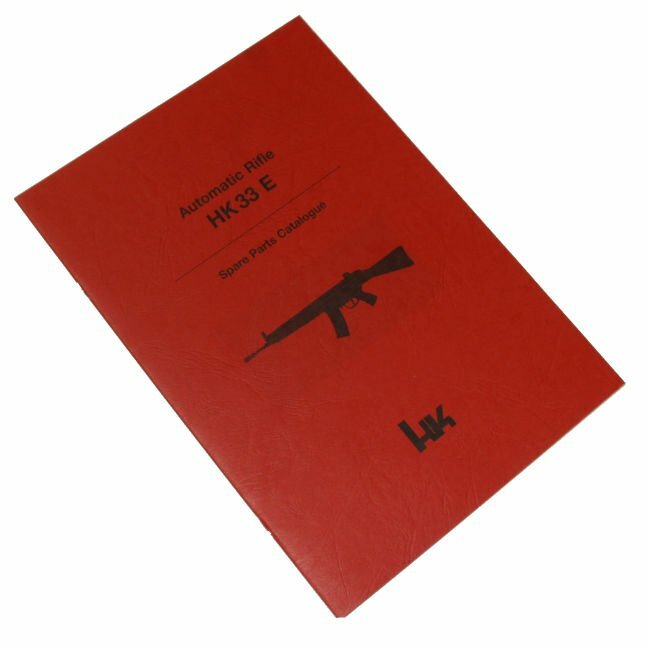 HK33 E spare parts catalog. What this manual lacks in conversation it more than makes up for in detailed, exploded view images of the complete weapon, all sub-assemblies and accessories. Along with each exploded view is a breakdown of each parts name, HK part number and identity number. Part numbers are NATO codes which I am used to working with. Identity number is the HK commercial or HK international stock number which is the typical civilian code for each and every HK manufactured part....including this catalog which is 980060.